One more free game available on Steam, this time is a game called “Famaze”, it is a Retro game with a 16 bits age visuals. 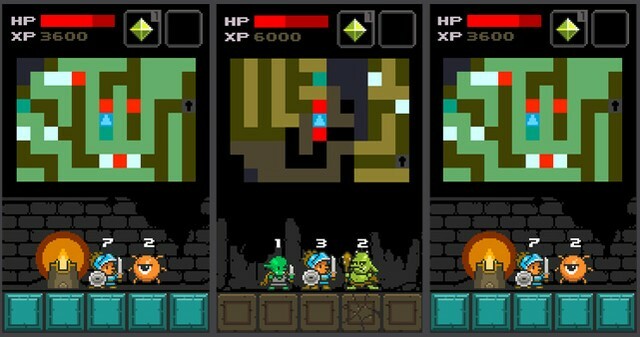 Famaze is a mix between mazes, puzzles and a bit Roguelike. The story is simple it is about a mad king that. The story of the game involves a mad king who has captured the happy rutabagas of the land and has turned them into evil monsters to guard his kingdom while he searches for the elusive perfect recipe for rutabaga pudding. The heroes of the land (a knight, thief, or wizard) must delve deep into the king’s domain to rescue the rutabagas, find the gem of truth to unravel the secret recipe and put a stop to the mad king’s plot. Next Next post: When Watch Dogs attacks in Grand Theft Auto IV!